Whether or not we realize it, the colors with which we surround ourselves – in our clothes, cars and homes – reveal a lot about us. For example, bright colors often indicate an outgoing personality, while subdued colors imply a more low-key persona. How can a hue say so much about you? Color has a psychological component through which we often communicate our moods, feelings, emotions, and personality. One way we do that is through the paint colors we choose, even on the exterior of our home. The entire exterior color scheme has meaning, but the color of the front door is especially important. 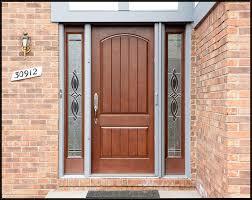 Like a necktie, which is the focal point of a man’s outfit, the front door is the focal point of the home. The color there sends a strong message – in the case of the front door, providing insight into how we view our home. So, what does your front door color say about you and the way you regard your home? Blue. Shown to be the most popular color in many studies, a blue front door signals that the homeowner views his or her home as a place of refuge – calm, serene and relaxing, the perfect retreat from an often harsh and demanding world. Green. Green is another popular color for the front door, and with good reason. Psychologically speaking, green connotes health, safety, tranquility and harmony, all highly desirable attributes for the home environment. Black. Those who paint the front door black are communicating something entirely different about their homes. A black front door projects strength, sophistication, power and authority, indicating to all who enter or even passerby that the home is a serious place inhabited by a person of substance. Red. Regarded as a powerful “punch” color, red is the color of passion. By painting the front door res, the homeowner is saying that the home within is a vibrant place, full of life, energy and excitement. Brown. Whether painted or stained, a brown front door looks natural and organic, but it can send mixed messages in terms of color psychology. On the one hand, brown conveys warmth, stability and reliability, positive attributes all, but certain darker shades of brown signal a desire for privacy, even isolation. 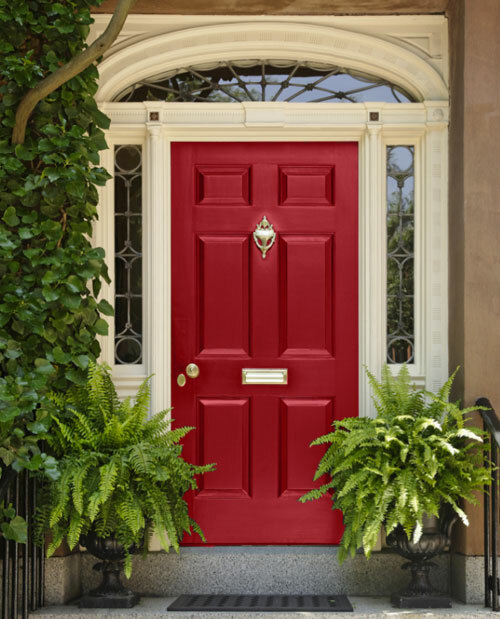 Very likely, the color you’ve chosen for your front door projects the way you want your home to be viewed. But if you inherited the color from the previous owner, or if you want to say something different about yourself and your home, you can quickly change the color. It only takes a few hours to prep and repaint a standard-size front door, and by applying a durable, top-quality, 100-percent acrylic latex paint, you can make a totally different color statement that will last for years. Those giant gasping sounds you hear are hundreds of thousands of shocked homeowners across North Texas opening their 2015 property appraisal notices arriving in the mail. From what I can tell, taxes are going up in most places. It’s catch-up time after the recession beatdown. The market is better. That’s the only excuse they need to take more. Reminds me of Robin Hood’s line from the 2010 movie: “Rise and rise again until lambs become lions.” Your taxes are rising. Are you a lamb about it? Or do you want to do it my Watchdog Nation way and stand up for yourself using your rights granted under Texas law? Let me hear you roar! Louder! All right, then. Here we go. May is Property Tax Month in Watchdog Nation. My goal is to save you enough money to justify another year as an annual subscriber to The Dallas Morning News. I’m stumped that only about 5 out of every 100 eligible homeowners use the new tool of protesting property taxes online at an appraisal district’s website. It’s easy, saves time and feels like gambling, for those who like that. You plug in your estimate and attach evidence showing your home’s value in the appraisal district’s software. If the software and a human agree, voila. You’re a tax cutter, like those politicians pretend to be. The two most important numbers are the 2015 appraised value and the 2015 market value. The appraised value is what is multiplied by the various taxing governments to get your actual tax bill. The market value is what the appraisal district believes your house is worth on today’s market in a straight sale. There’s a 10 percent cap on an annual increase of your house’s taxable appraised value — for those homeowners with a homestead exemption. That means the government cannot raise the taxable value of your house more than 10 percent of the previous year’s tax bill. God bless this cap. First, know that appraisers are handicapped in two ways. The first is they don’t really know what houses sell for because in Texas that’s considered private. Bizarre, I know. So appraisers pick up what they can, but they have an incomplete picture. If you can prove that houses similar to yours in your neighborhood are valued less, you can win. Sometimes all you have to do is find a house model exactly like yours with a lower value and use that to show you’re overpaying. Ask your Realtor for the comps or comparables in your neighborhood. The other way appraisers are handicapped is they don’t know what’s inside your home. So if you have major problems that lower your value, you must give evidence including photos. Let’s say you need a new roof. Present a roofer’s estimate for the cost of replacement along with photos of leaks or rot. Ask that your appraised and market values get lowered by that amount. Build your case to devalue your home. Texans have a legal right to equal and uniform taxes. But the system is set up so the property owner must appeal to protest an assessed value. Online tax protests are new in Texas. The deadline to appeal is June 1, but don’t wait until then. Are you considering selling in 2015? 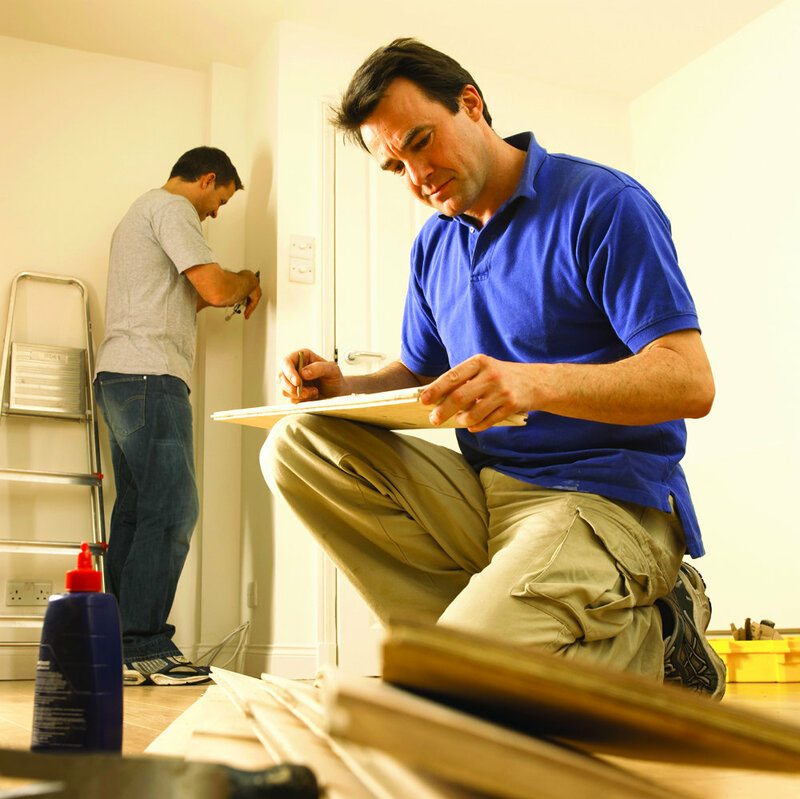 It’s important to know which home improvement projects will bring you the most return on your investment. Visit the 2015 Cost vs Value Report (see Dallas specific info here) which compares the 36 most popular remodeling projects and the value those projects retain at resale. If you’re making updates or just thinking about selling, let’s talk about how it will affect the value of your home! The Cost vs. Value report is an annual collaboration between Remodeling magazine and REALTOR® Magazine, which breaks down the estimated cost of various remodeling projects and the estimated return on investment for those projects by region and by city, as well as by midrange and upscale projects. In general, the 2015 report boasts that “less is more”. It’s the smaller improvements that will give you the most bang for your buck. Click here for the full article from REALTOR® Magazine. It’s no surprise that replacement jobs—such as door, window, and siding projects—generated a higher return than remodeling projects. That’s been the case since at least 2003. But the gap between the two categories widened by 3.8 percentage points this year even as both declined in value: Replacement projects showed an average return of 73.2% in this year’s report, just a smidgen below its 73.7% last year, while the cost-value ratio of remodeling projects sank to 60.8% in this year’s report from 65.1% last year. When grouped by job type, siding jobs fared better than most, perhaps because of a rising perception nationwide of the value of curb appeal. Midrange vinyl siding replacement jobs were one of only five projects to rise in value, to 80.7% from 78.2%. A replacement job involving foam-backed siding slipped just half a point in value, to 77.6%, while the cost-value ratio for a fiber-cement replacement job dipped to 84.3% from 87.0%. Similarly, window jobs were no more than 2.1 points lower this year than in the 2014 report, and they ranked between ninth and 16th in overall payback. In contrast, kitchen remodels declined as much as 6.6 percentage points, while the drop for bathroom additions and remodels was more modest, slipping 3.8 points or less. As a general rule, the simpler and lower-cost the project, the bigger its cost-value ratio. Three of the four projects that cost less than $5,000 for a pro to do were ranked in the top five for cost recouped, and the other two were in the $5,000-to-$25,000 price range. No project costing more than $25,000 ranked better than 14th. Click here for the full article from Remodeling Magazine. Think your appraisal is too high? Posted: May 21, 2013 | Author: Living Large in DFW | Filed under: Housing Market Info, Your Home | Comments Off on Think your appraisal is too high? Here are steps to decrease your property tax bill. This information is for Dallas County properties, but most north Texas counties are similar. If you need help with your valuation, please contact me. This is something I’ve always heard of and considered doing myself. 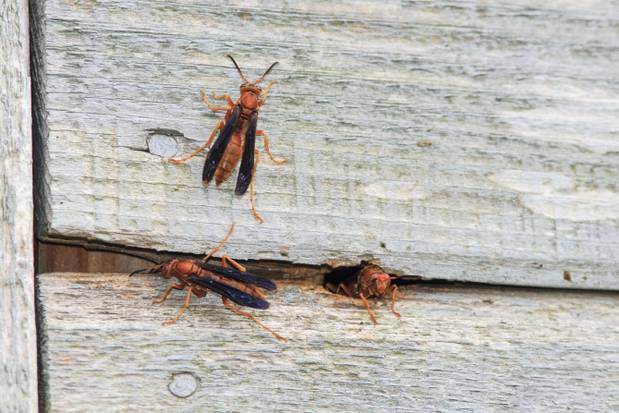 I just thought I would share this organic way to keep wasps from building a nest at YOUR house. Normally, I would leave beneficial insects alone. However, I’m extremely allergic to red wasps. How do I eliminate these wasps? I understand. I wish we could move them to my place; they eat lots of worms and other pests. When they must be killed, the essential-oil products work well and are nontoxic. Eco-SMART is one good brand. The other step I highly recommend is to paint eaves and porch and patio ceilings with the color called haint blue. It is a robin’s-egg blue that, according to Southern tradition, discourages wasps from building nests on its surface. Every paint manufacturer sells a version of this color.